I’ve been playing with my new Kindle Fire since I received it last week. It’s a nice tablet. You can check reviews elsewhere. 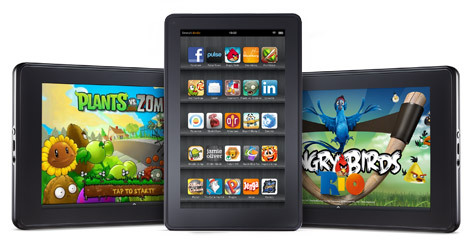 I was a bit concerned about the limited Kindle Fire approved apps in Amazon’s App Store. I have a few key apps that I would like to run. PC Magazine has a very good tutorial on how to add third party apps. Hey Chris, thanks for your post. I see that you've downloaded the WSJ app successfully to the Fire. I'm not so lucky because the Android Mkt web page says that my cell phone (T-Mobile HUAWEI Comet) is not compatible with the app. Would it be possible for you to pass the APK to me so I can bypass the cell phone part? Hi,thank you so much for your post.I have little bit.Sideload applications are not supported by Amazon.The primary issue is that Amazon evacuated some fundamental items for Google framework.For applications from different developers,normally you get less issues.Good day.